Advanced combination of two casein: calcium caseinate + micellar casein. Even greater power of anti-catabolic in every serving! Ideal protein for use before bedtime! Scitec Night Pro - casein overnight. The combination of two casein: calcium caseinate + micellar casein. The new version of Pro Long Scitec Nutrition. 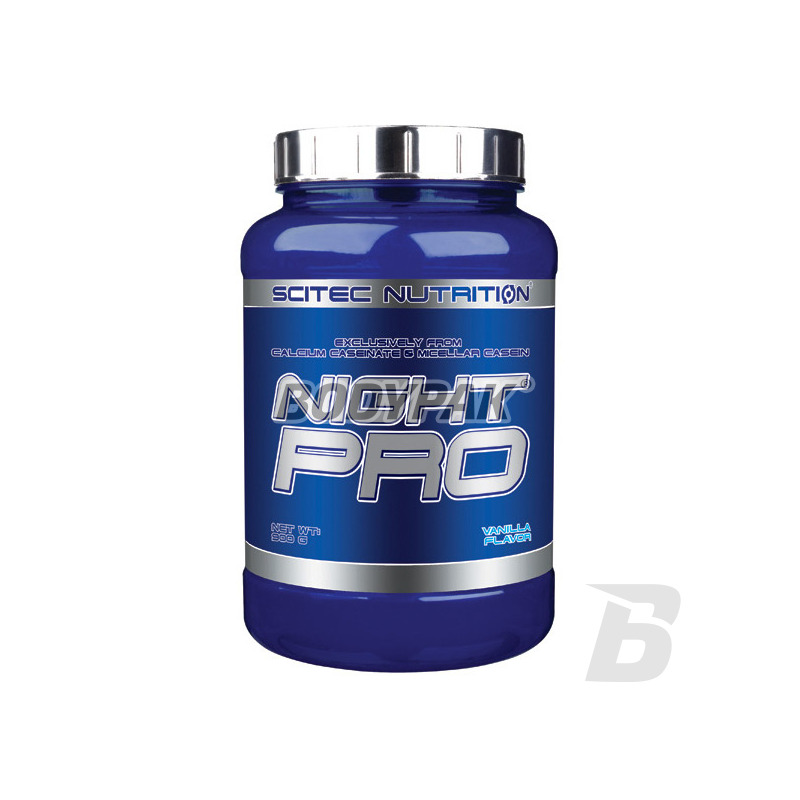 Anti-catabolic supplement high protein slow acting (hours of release of amino acids). Excellent food supplement with casein for a night and a day in between meals. Scientific research on nutrients and protein types have provided us with tools to maximize training effects. 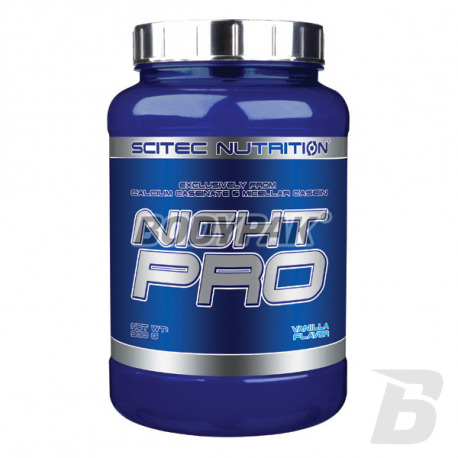 Our Scitec Nutrition Night Pro (formerly Pro Long) - 100% casein protein is not etched (as opposed to the rapidly digested whey protein), which provides continuous release of amino acids, up to 7-8 hours. This causes the casein Scitec Night Pro is ideal when meals are consumed in large intervals or at bedtime. If you are using nutrition before and during the training (including protein or amino acids), it would be better if you use casein as the protein after a workout. Slower digestion results, that the casein has the characteristics of more than catabolic rapidly digested proteins, and the use of amino acids of the protein is more efficient. Casein contains a lot of branched-chain amino acids (BCAA's) and very much - more than whey - L-glutamine, an essential amino acid very important in building muscles. Składniki: kazeinian wapnia, koncentrat kazeiny micelarnej, aromat (czekoladowy), dekstroza, regulator kwasowości (kwas cytrynowy), substancje słodzące (Acesulfam K, Sukraloza), barwnik (Betanina).